This is a story that is almost too good to be true. The story of a young artist who dedicated and virtually sacrificed his life to save the art of hundreds of other artists he admired. Those artists had the misfortune to live in the Soviet Union during Stalin's regime, when any traces of the once flourishing Russian avant-garde art were systematically suppressed. 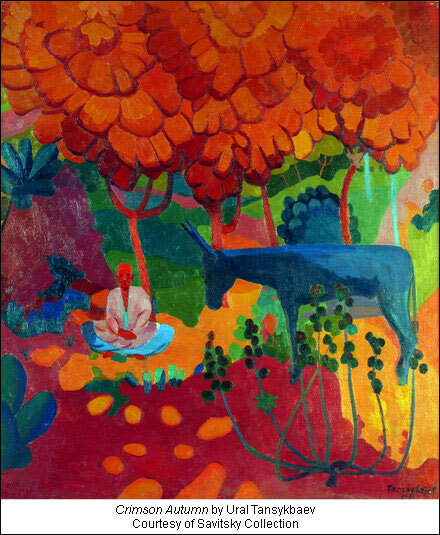 So any artists daring to follow in the steps of Kandinsky or Malevich were playing Russian Roulette -- they would be severely criticized and fired from their jobs, imprisoned or sent to mental hospitals, and, on a few occasions, forced into exile. 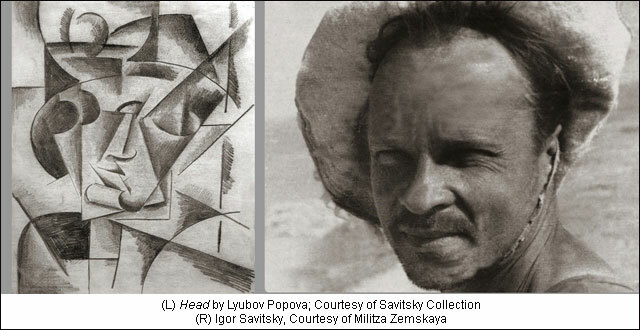 Igor Savitsky, who was born in 1915 in Kiev, studied to become an artist himself, but his professor wisely advised him to pursue a different career. So in 1950, he traveled with an archeological team to Uzbekistan, one of the Asian republics of the Soviet Union. There, one thing led to another, and soon he fell in love with the place and settled in the city of Nukus, virtually in the middle of nowhere. In 1966, he was appointed curator of a new museum in this city, and, in the next 20 years, managed the near impossible task of collecting and saving 44,000 artworks by numerous Soviet artists who had fallen out of favor with the Communist regime. 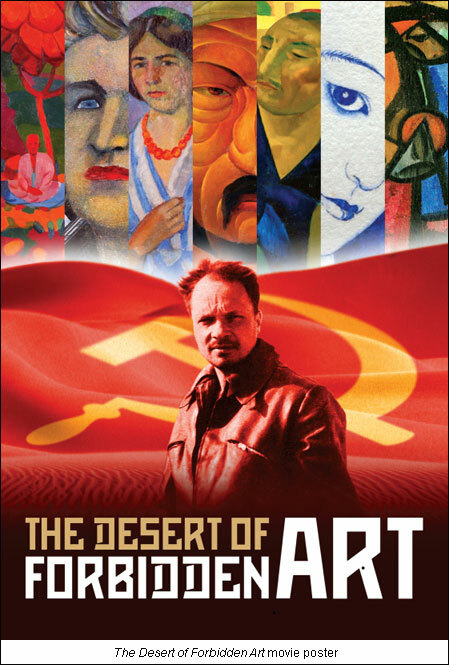 The fascinating and improbable story of his life and his obsession is the subject of a new, extremely eloquent and captivating documentary film, The Desert of Forbidden Art, which is going to be released this week for a limited run both in New York and Los Angeles and later shown on PBS. A few weeks ago, this documentary was screened at UCLA Film School, where I moderated a discussion with the two Americans directors who wrote and produced the film, Amanda Pope and Tchavdar Georgiev. Talk about obsession. 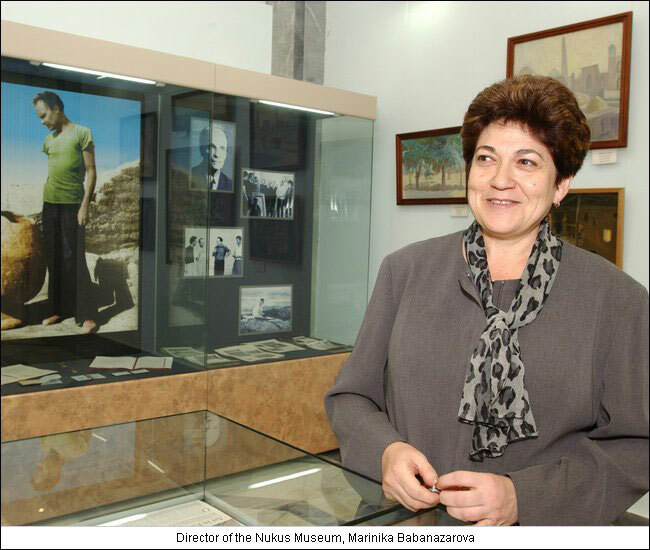 These two made numerous trips to Uzbekistan, to this faraway city of Nukus, and to Moscow, where they found surviving descendants of many artists whose work Savitsky collected. In addition, they unearthed in Russian archives unique Stalin era film footage meant to glorify achievements of the Communist state, but now, with the passage of time, simply horrifying. I encourage you to go the KCRW website to check out the trailer for this documentary which hopefully will compel you to go to see The Desert of Forbidden Art and to get insights into this improbable and inspiring story. And last but not least, here's a good art story I unearthed in, of all places, the Spring 2011 Men's Fashion Issue of the New York Times Magazine. I almost tossed the magazine out, but something, or rather someone, caught my eye. 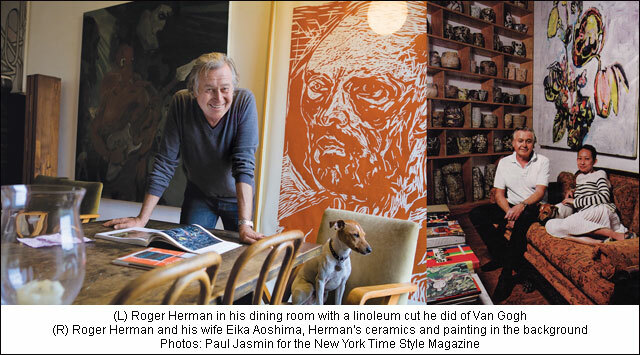 It was Roger Herman, German-born Los Angeles artist and much-liked teacher, profiled in a well written essay generously illustrated with numerous photos of the artist at his home/studio near Chinatown. One hopes that someday, someone will get smart and make a documentary about all these foreign-born artists who have made Los Angeles their home and contributed greatly to the city's reputation as one of the world's major centers for contemporary art. Edward Goldman is an art critic and the host of Art Talk, a program on art and culture for NPR affiliate KCRW 89.9 FM. To listen to the complete show and hear Edward's charming Russian accent, visit Art Talk on KCRW.